Since a recent couple of years, the face and functionality have been completely changed. All the aspects such as domains of SEO, online videos, social media and blogging have undergone with remarkable changes and the process is still continuing. 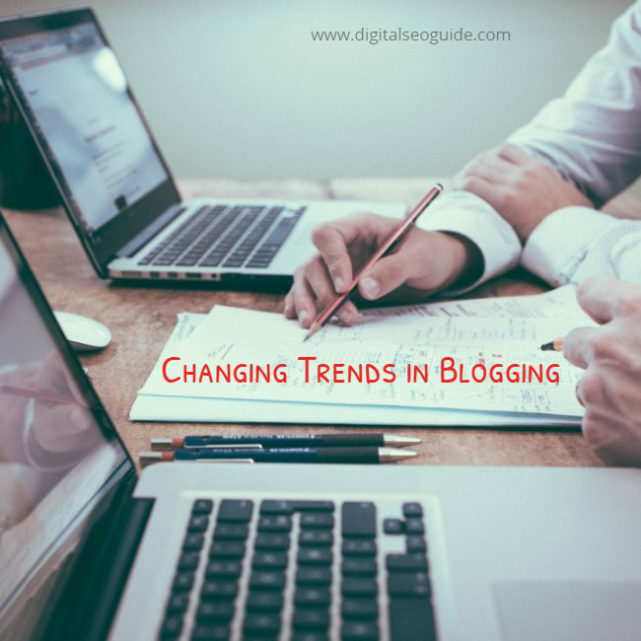 In this article, we are going to mainly discuss the blogging and its changing trends so that you can smartly and efficiently use this online marketing practice for your target achievements. Started in the early 90s, blogging has completely transformed itself from a leisure activity to a significant online money making tool and some most popular blogging platforms are playing a leading role influencing the online community worldwide. Since its beginning blogging has stepped by step emerged its reputation and today has its own elaborate content management system. Is not it interesting a hobby two years ago is now a talent and a full-time career. Now it is very essential to understand that where all these changes are leading and what can we expect from the upcoming time. The study is crucial to aggregate our plans to take advantage of your specific readers, increasing the web traffic and grow our corporate blog as a brand in itself. Though it sounds weird, it is what we are going to experience the recent future. The writers or the publisher are now describing themselves as the “influencers” instead of bloggers. It also makes a sense as the present date blogging is not just the drafting of text for a subject or topic, a blogger has to smartly work with text, images, graphics, videos and input his skill and knowledge about market culture and trend, social networks and other aspects of the market. So the word bloggers do not feel justified for this diverse skill set and “influencer” seems more appropriate here. While the blogging is one of the most reliable sources of getting information, they must deliver the real value. A 200-word piece of content with useful information, in short, is much better than the extensively stretched article of 2000 to 3000 words. As per the surveys held recently, the most preferred length of an average article is 900 to 1000 words. This length is quite enough to provide sufficient information about a subject. If you want to increase the length, you need to develop more substantive content that is really useful and inspiring to the readers. Both the companies and the webmasters who target to attract the quality traffic to their site will have to consider this length of the content as well as its qualitative value. The other considerable points for traffic improvement are the already established ones like the uniqueness of the content, its presentation, resourcefulness, and strategically promotion. As per changing mentality of the new age blog writers, there is no place for readers to comment on their posts. Actually, the bloggers are showing less interest in spending their time management in conversing with the audience. Due to increasing incidents of a cesspool of disagreements, name calling, and abuse, there are many other disadvantages of commenting on the readers’ point of view also. As per predictions, the commenting and conversations will move towards the social sphere completely. The writers will post the URL of their social profile along with their blog post and in this way the communication will go on but without any inconvenience to the serious readers. Though the bloggers are changing their status to the “influencers”, the blogging is not just a text-based communication medium. It is not the extinction of the text; instead of it, we are going to experience the aggregation of text, images. Graphics and audio-visual presentation. This is the recent and most effective, impressive way of transferring your idea to the world. The rise and growth of social networking platforms (Instagram, Pinterest, Shutterstock, etc.) have further boosted the trend of viewing, sharing and engaging the graphical content. In the short upcoming time, we can expect high-resolution images, smart infographics, superb design elements and intelligent icon setting. In the dawn of blogging, it was centered on grabbing a higher traffic. Then it moved towards monetizing by sharing and selling its screen’s real estate to advertisement serving agencies though this caused some strategic and ethical problems. The webmasters had to divert their consideration on baits, memes, slideshows, ad placements and listicles instead of completely focusing on information digging and the creation of valuable content. The increase in the monetary value soon started to reflect in the decrease in the quality. Now when the entire web environment is switching its approach and attitude, the experts are predicting higher rates of engagement. 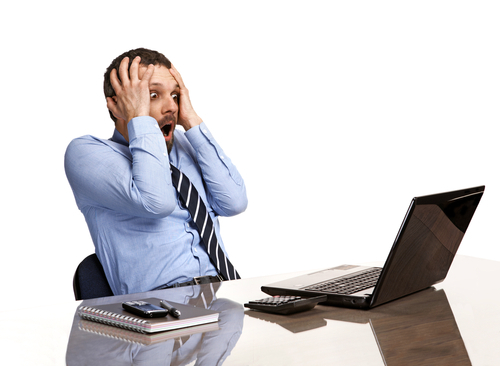 Can he keep attracting the readers towards his blog post? Along with providing the freshest and valuable content, is he capable of creating a community of the readers of the same niche? Can he manage to achieve a remarkable amount of Facebook likes and Twitter shares, and launching many discussions? Still, can he carry on with his unique quality content? No matter, there is a small community of mere hundreds or nearby thousand committed followers, the engagement rate really matters. The higher and bigger engagement is your real wealth. Blogging in 2016 will continue to get more emerged, flourish and profit generating. Its role in creating the content, its publication, the distribution strategy for both the business houses and individuals. There are much online and offline marketing factors that directly affect and influence the blogging schemes and development. Yet the progressive approach along with continuously nourishing creativity and determination to provide the best from your efforts are the keys to success that will keep working in the upcoming future also. Blogging is not going anywhere and no matter what name or appearance it will adopt in the future, the bloggers have a great opportunity to grow and earn well but there are many challenges ahead to face that will require a fine skill set and vital thoughtfulness.